Dangerous in Venezuela; says who? I wouldn’t give up this gorgeous scenery quite yet! That headline is a little cavalier. While I live and teach in Venezuela, the city I live in is quite small so I am pretty insulated. Today I read on the BBC that 80 more protesters have been arrested and over the past three months 40 people have been killed. If I didn’t check the news obsessively on my Feedly reader then I wouldn’t have known the protests were still happening! I’m returning to Venezuela at the end of July. I love the people, the music, the dancing, the beaches, the slower paced way of life, and the many days of sun. 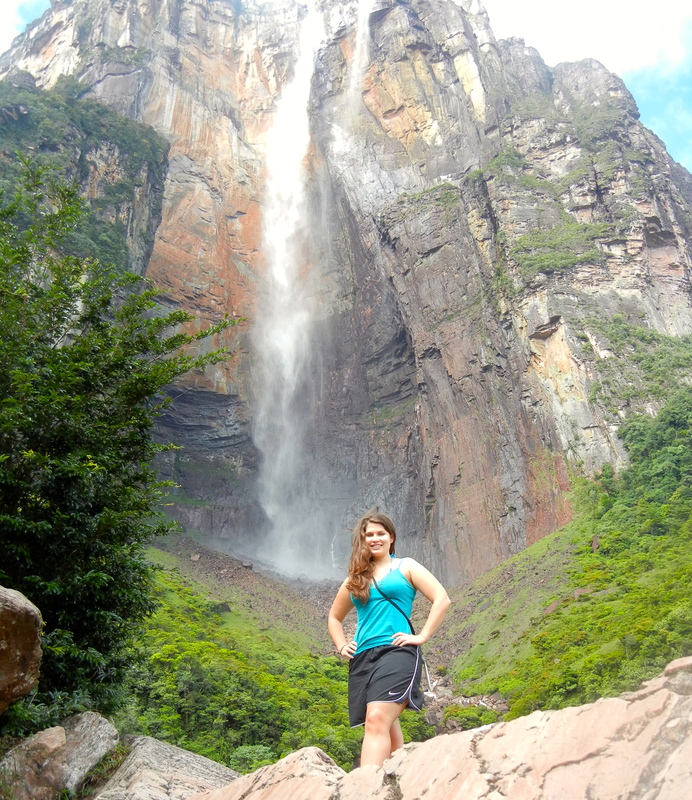 If you are trying to decide if you should take on a teaching contract here or if you really want to visit the tallest waterfall in the world, then you need to do your own risk assessment, but I would vote yes. I just reread this post and while I still love Latin America, it is strange how much my mindset has changed since I was held up at gunpoint. It is a serious risk that you take living here. Oh thats crap..But good to know. Hope you a happy and a safe time there. Most of the time I am very happy here. Just this afternoon I was thinking how perfect the weather was (I was wearing a tank top and a skirt in January- never would have happened in the States!) and how beautiful my view was.